Toyota and their luxury brand Lexus will showcase their greenest current generation and upcoming models at the EcoVelocity show in London in September. 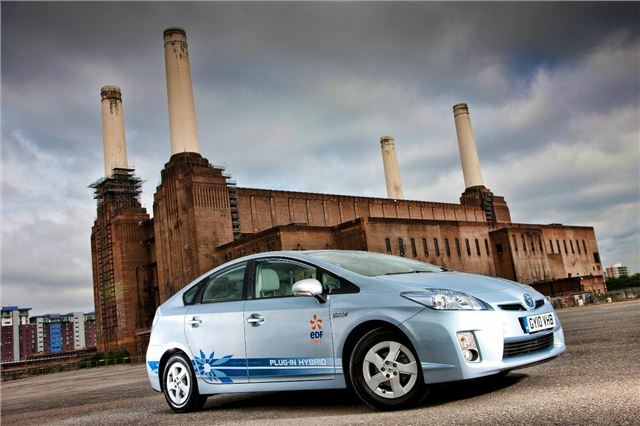 Visitors will be given the opportunity to drive the Prius as well as the British-built Auris Hybrid, both of which are congestion charge exempt. The all-new Yaris will be on show too, as well the tiny iQ city car. Toyota will also showcase their latest advancement in hybrid technology in the form of the Prius Plug-in Hybrid Electric Vehicle, or Prius PHEV. Fitted with advanced battery technology, the Prius PHEV can travel further than a conventional Prius on electricity alone, and can be plugged in to charge rather than relying solely on its internal combustion engine. Lexus will be at EcoVelocity too, with the CT 200h, a full-hybrid compact hatchback with sub-100g/km emissions. The CT 200h will be available for test drives at the show. Also on display will be the Lexus RX 450h luxury crossover. The EcoVelocity show takes place from the 8th to the 11th of September at Battersea power station in London.